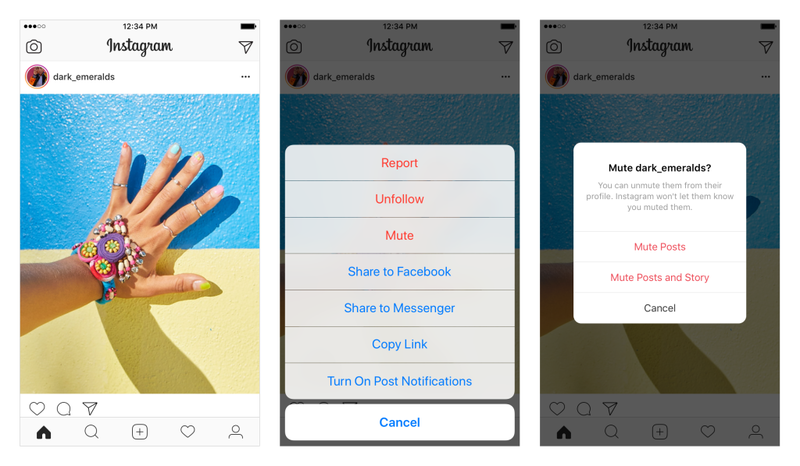 Today we’re introducing mute in feed, a new way to control what posts you see on Instagram. The new feature lets you hide posts in feed from certain accounts, without unfollowing them. With this change, you can make your feed even more personalized to what matters to you. When you mute an account, you can still see posts on their profile page and get notified about comments or posts you’re tagged in. The accounts you mute will not be aware that you’ve muted them. You can always unmute an account to get their posts back in your feed.